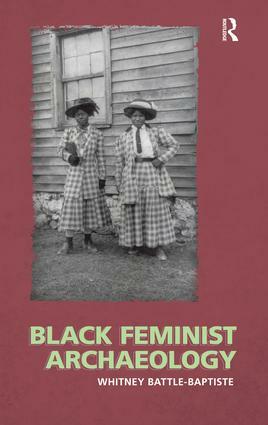 Black feminist thought has developed in various parts of the academy for over three decades, but has made only minor inroads into archaeological theory and practice. Whitney Battle-Baptiste outlines the basic tenets of Black feminist thought and research for archaeologists and shows how it can be used to improve contemporary historical archaeology. She demonstrates this using Andrew Jackson’s Hermitage, the WEB Du Bois Homesite in Massachusetts, and the Lucy Foster house in Andover, which represented the first archaeological excavation of an African American home. Her call for an archaeology more sensitive to questions of race and gender is an important development for the field. The colorful charts, graphs, and maps presented at the 1900 Paris Exposition by famed sociologist and black rights activist W. E. B. Du Bois offered a view into the lives of black Americans, conveying a literal and figurative representation of “the color line.” From advances in education to the lingering effects of slavery, these prophetic infographics–beautiful in design and powerful in content–make visible a wide spectrum of black experience. Department of Anthropology. She is the author of Black Feminist Archaeology . Fugitive Science: Empiricism and Freedom in Early African American Culture .